WatchMarvel is the luxury watch review, giving you the latest insight on the best luxury watches in the market. 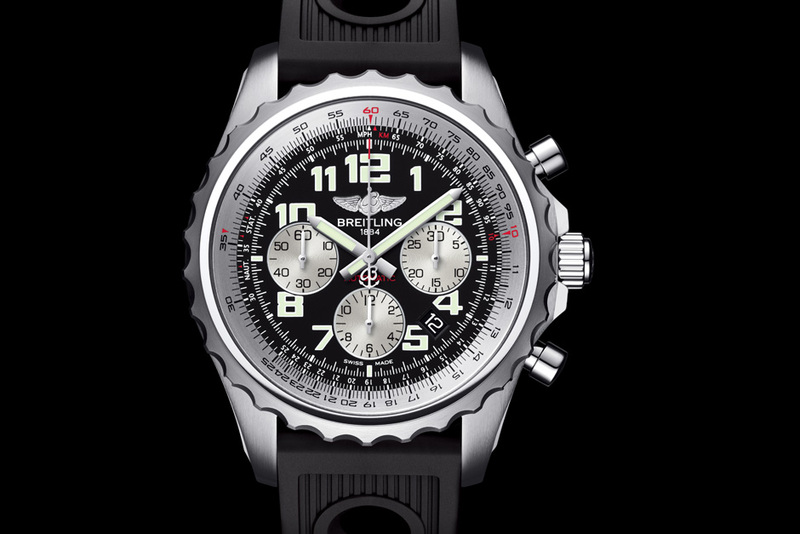 The Breitling Chronospace Automatic is Breitling’s latest release from their Professional series. This model seeks to be the perfect companion for pilots, both professional and novice. 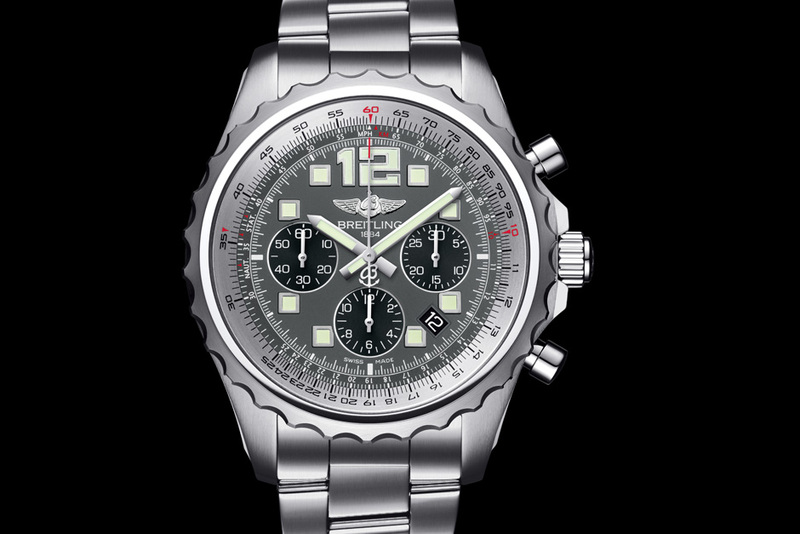 This watch is powered by Breitling 23, which is a self-winding mechanical movement with an ETA base. 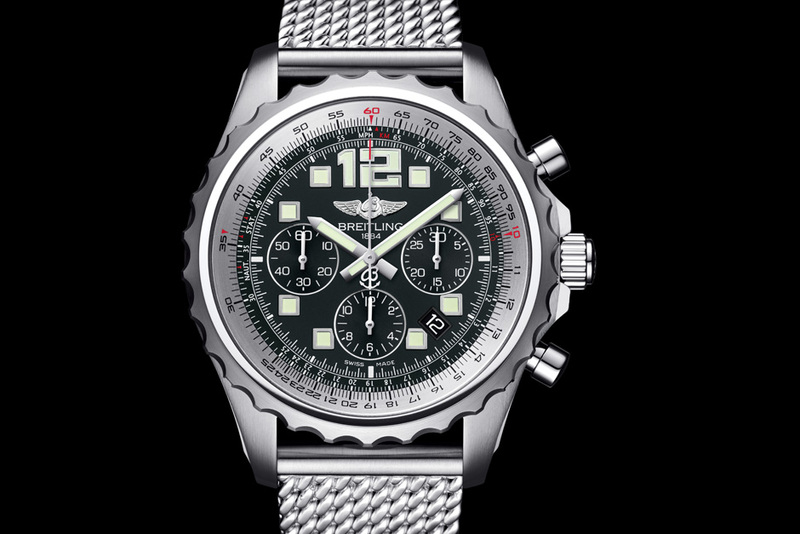 The movement, like all others released from Breitling, is COSC certified as a chronometer. To earn COSC certification, watches are tested for 14 nights and 15 days under the most stringent of conditions. The watches must maintain an accuracy of -4/+6 seconds per day to attain this coveted certification. 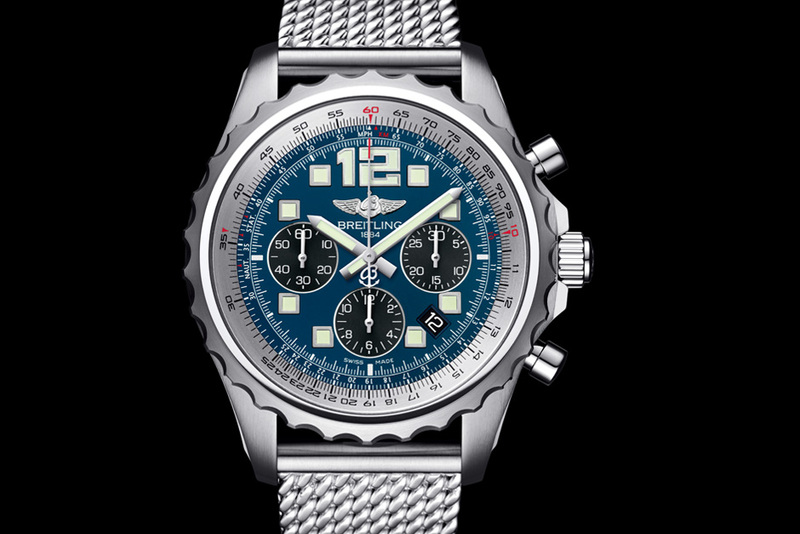 Yearly, only 5% of watches leaving Switzerland are chronometer certified, this puts Breitling automatically in the top fifth percentile of Swiss made watches. The Chronospace Automatic carries an oversized case with dimensions of 46mm and a case thickness of 15.95mm. The watch is built to last, and is made from solid stainless steel. This timepiece is quite heavy, with the case itself (without strap) weighing 122.9 grams. The ridged main crown is screw locked and carries two gaskets which maintain a water resistance of 200 meters (660 feet), making this watch suitable for any type of outdoor activity. The bezel is specially notched making it easy to use even with gloved hands. 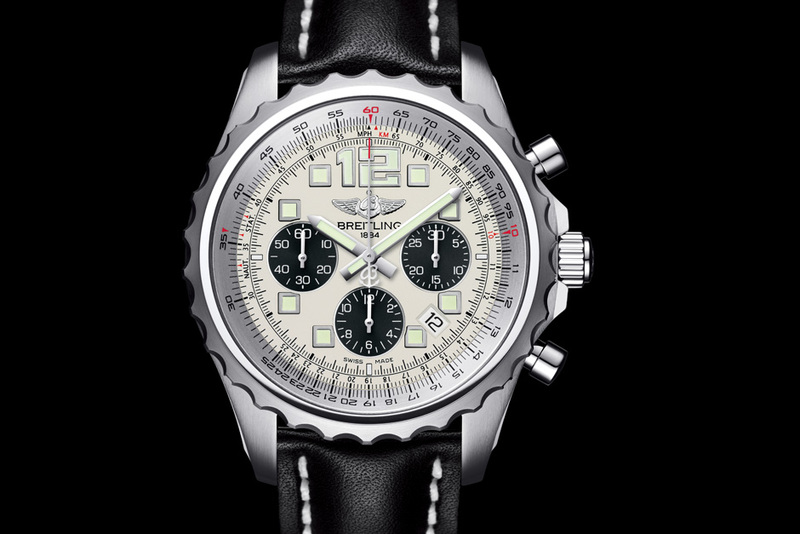 The bezel is also bidirectional and features a pinion mechanism which is attached to the slide rule for faster calculations. A slide rule is basically an algorithmic scale through which a pilot can make any ‘rule of three’ calculation necessary for the execution of a flight. The dial window is crafted from cambered sapphire, which has been glare proofed on both sides. The dial features oversized Arabic numerals and sword shaped hands coated with Super-LumiNova for legibility under any and all light conditions. At the 4:30 position there is a neat date aperture. 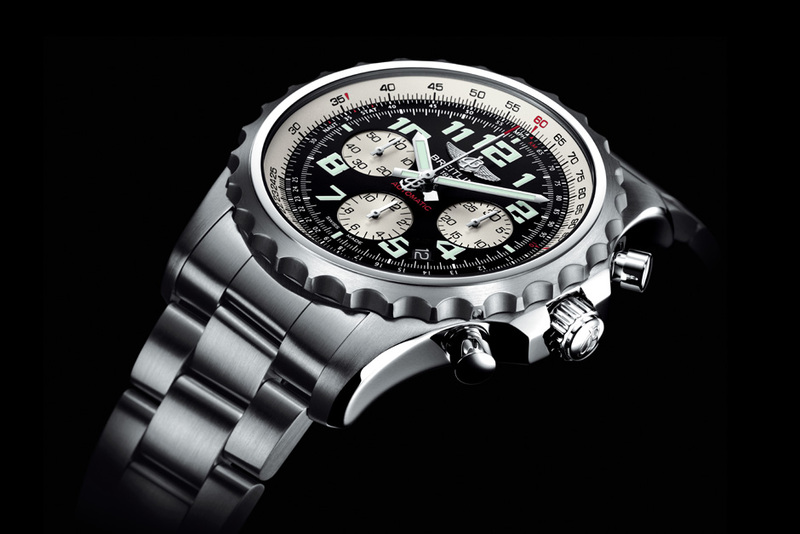 This model features a chronograph which has the capability of timing any event of up to 12 hours and has breakdowns of 30 minutes and ¼ of a second. The chronograph seconds are indicated by a central hand while the chronograph minutes and hours are displayed by 2 counters located at the 3 and 6 positions respectively. The counter at the 9 position displays the continuous seconds for this amazing timepiece. The Chronospace Automatic can be fitted with your choice of either a leather strap, Diver Pro (rubber with tang type buckle), Ocean Racer (Rubber with deployant clasp), Aero Classic, or Professional III bracelet. Interested in this watch? The WatchMarvel Concierge is at your service.